It was fairly early in our holiday in Tenerife that my wife and I decided we should go and visit Vilaflor to try and see Lotus berthelotii. I say try to see, since I did not know whether the time we were there was its flowering season, and the information we had received might not have been taking this into account. The first part of the journey was along the motorway that connects Puerto de la Cruz and Santa Cruz de Tenerife with the airport and the south east of the island. My wife Amanda was map reading, and indicated where we should leave the motorway, and strike up into the hills. The road we took was not busy and soon after we had started climbing, we passed through some interesting, dry habitat where there was a very convenient parking place. The area was close to the sea, and as well as being arid, had a considerable maritime influence. 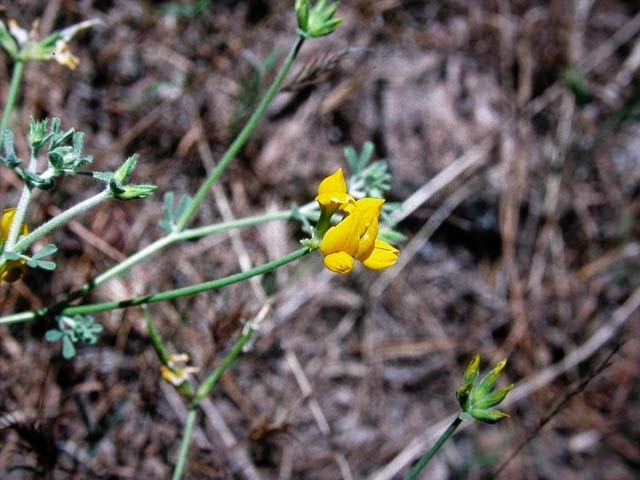 The first species I found belonged to Lotus, a genus I am particularly interested in. Although common and usually in maritime habitats, it was nonetheless good to find Lotus glaucus in reasonable quantities. 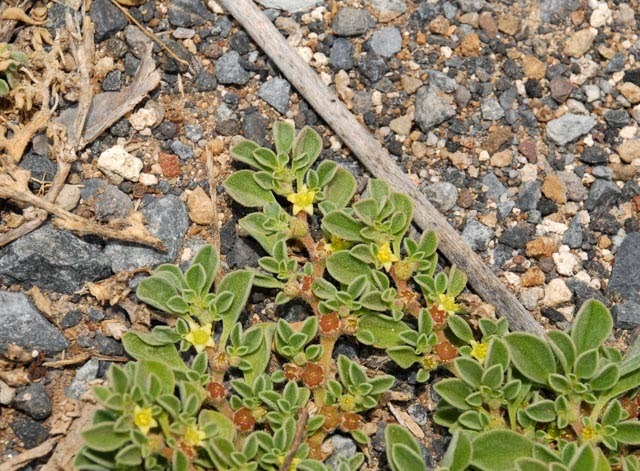 Frankenia capitata also added to maritime species as did Aizoon canariense, a maritime species that is not typical of its family Aizoaceae. In hollows dotted around the site, two more typical members of that family growing together were dominant, giving them a different appearance. 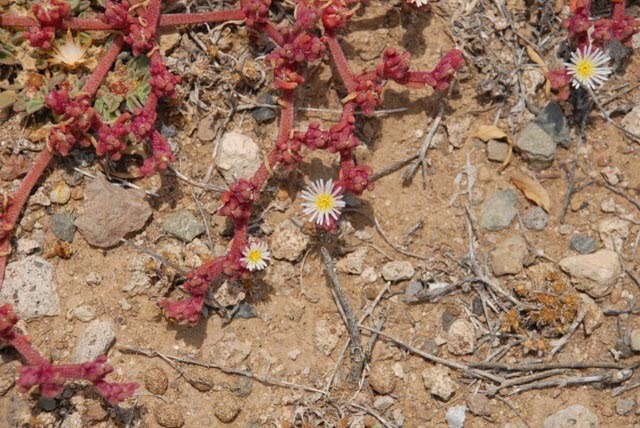 These species were Mezembryanthemu crystallinum and the smaller flowered Mesembryanthemum nodiflorum. We then drove on through the small town of San Isidro. On each side of the road, in rather dry habitat, the magnificent Aeonium urbicum was abundant. 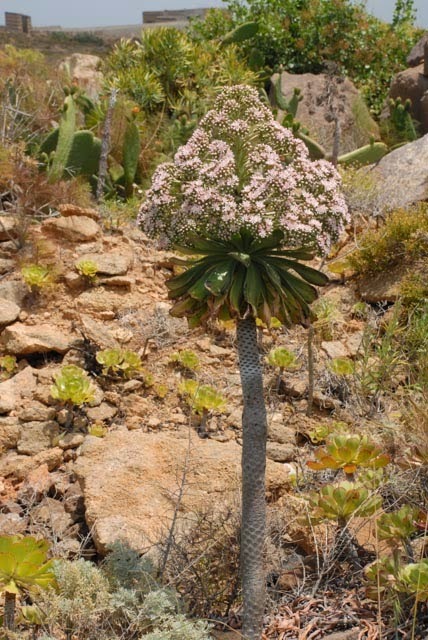 This is one of the largest of the Aeonium species, being tall, with a triangular, pink flower head on top of a tall stalk. 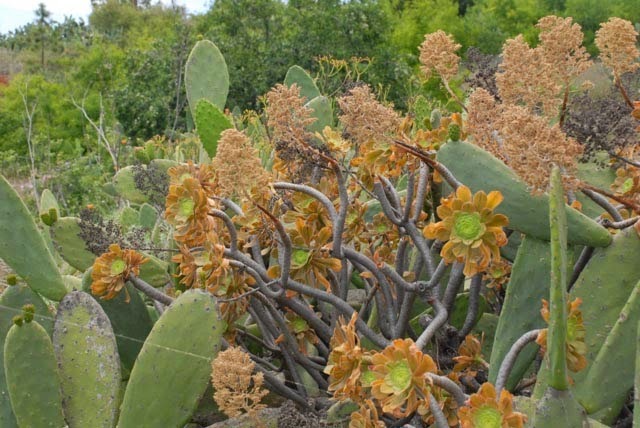 It is very similar to Aeonium pseudourbicum that grows in the same area and habitat. 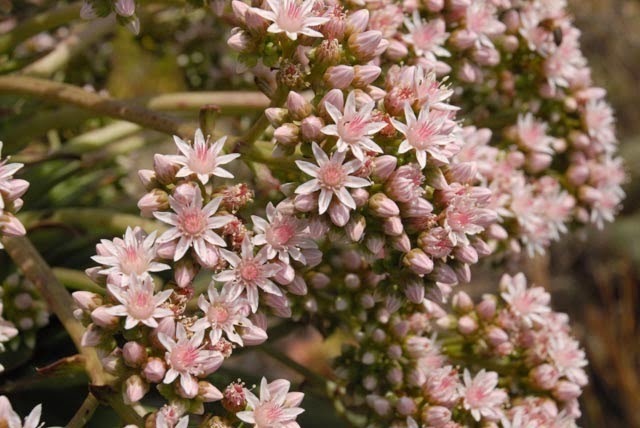 A. pseudourbicum, however has pubescent flowers. Although to approach most of the plants meant climbing over walls, and across private ground, there was one I got really close to, and I was able to photograph the flowers closely, showing they were not pubescent. 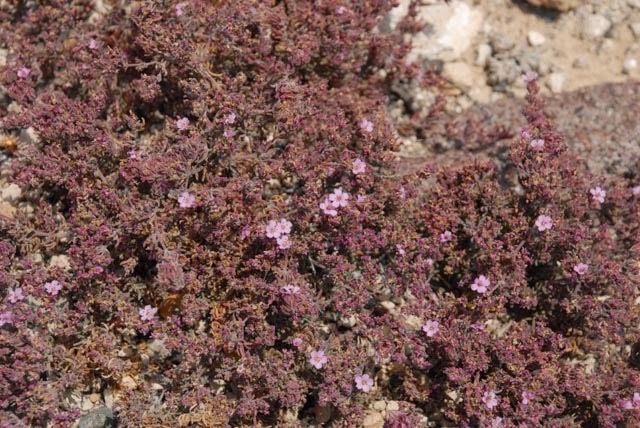 Between San Isidro, and Vilaflor, we stopped briefly in an area of scrub where Cistus monspeliensis, and the common Canarian endemic Cistus symphytifolius were abundant. One reason for stopping was to look at a rampant Convolvulus that turned out to be a form of Convolvulus aethioides. This is not a Canarian native. In fact, there is a large range of sometimes unfamiliar non native species that are abundant, and these do not appear in the literature. This can be very confusing. Also at this stop, there was another Aeonium, this time past flowering, and having tinted leaves. This I believe is Aeonium sedifolium. We then continued on to Vilaflor. The village is a bit away from the road that continues on to the Teide National Park, however we found two churches, and reckoned that the gardens we wanted would be those close by. The garden layout was a series of terraces, and to our great delight they were full of fine examples of Lotus berthelotii in perfect flower. 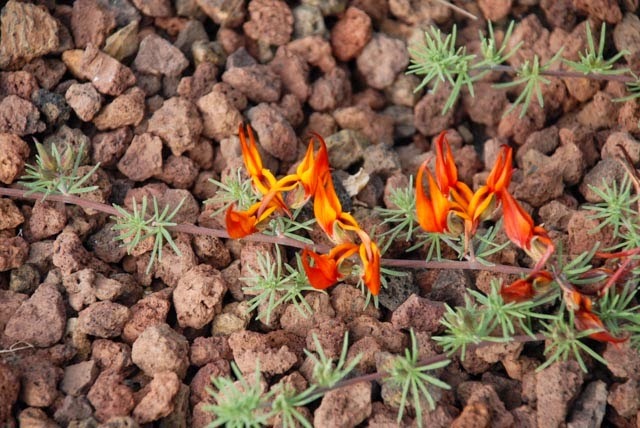 There were also a number of other Canarian wildflowers present in the flower beds. Soon, we were taking a series of photographs of this little gem, so rare in the wild, and possibly confined to a single plant. I have heard that the reason it, and similar species have become so close to extinction is that they were pollinated by the long extinct Canary Sunbird. 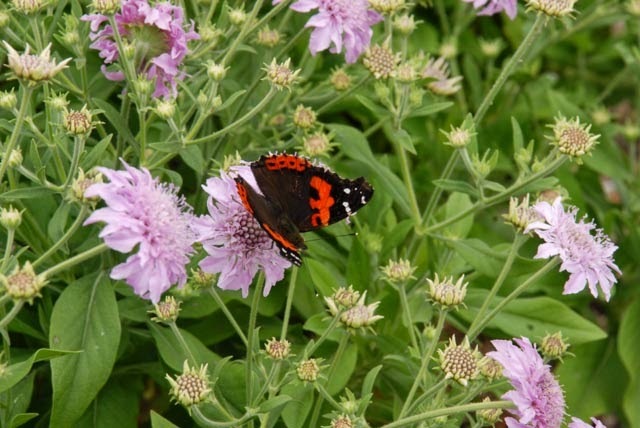 On blossoms in the garden, we were particularly pleased to see endemic Canarian Red Admirals that used to be included under Indian Red Admiral. They behaved beautifully allowing us to take several photos. 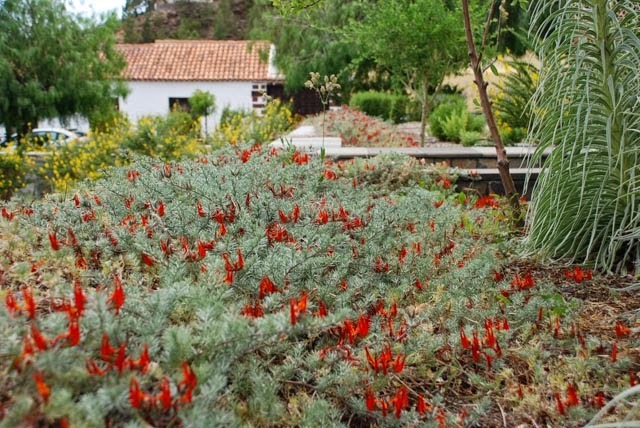 It was a day or two later that we visited the La Tahonilla Environmental Centre just outside La Laguna where we had been told that many Canarian endemic plant species were cultivated, and sold. Soon after entering the gardens, I was totally delighted to see, under a palm tree, a few plants of the close relative of Lotus berthelotii which is Lotus maculatus. In fact there were a number of plants growing in another area of the gardens. This is an equally rare species in the wild, confined to a small area of coastal cliffs on the Anaga Peninsular. I was also totally delighted to find examples of Lotus mascaensis, an endemic that is confined to the Masca Valley, where it is not too uncommon. It is certainly a species I have never been able to find in the wild. One of the very greatest surprises of the trip was to find Lotus berthelotii growing in soil surrounding a pavement tree in the centre of Puerto de la Cruz. I had my camera with me, and on closer inspection, the plants do not look quite right. 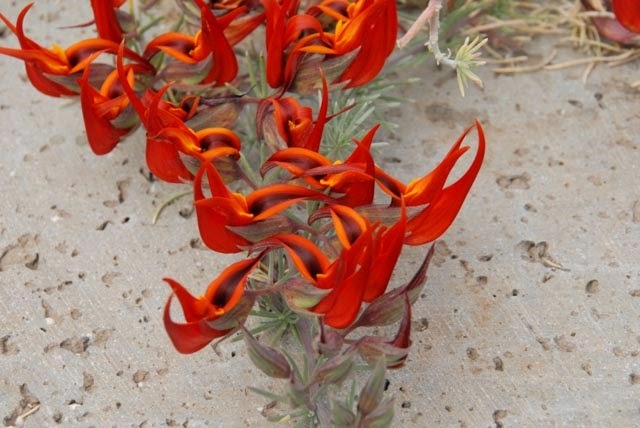 They are intermediate between Lotus berthelotii and maculatus and I suspect they are of hybrid origin. This is mildly alarming, as it is possible that the plants that are relatively freely available commercially, are equally lacking in species purity. 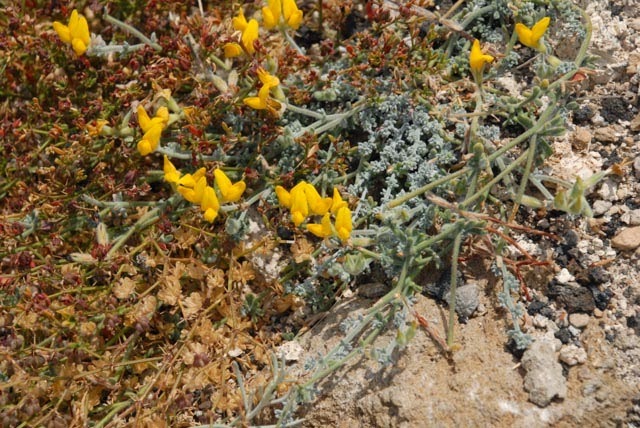 Looking at the illustrations in David Bramwell’s book on the Canarian flora, it is just possible but unlikely, that these intermediate plants are actually Lotus pyranthus, a species closely related to Lotus berthelotii that occurs on cliffs in pine forests on La Palma. This is unlikely, however as this species has larger flowers than Lotus berthelotii , and in Lotus pyranthus the flowers are more erect. 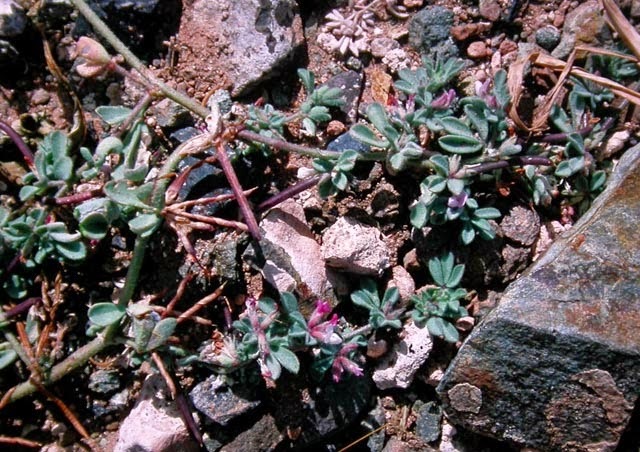 There is a fourth species related to this group Lotus emeriticus that is confined to a single site in La Palma. Unfortunately, I have no personal knowledge of any of these La Palma Lotuses that clearly belong to the same group either in gardens, or in the wild. 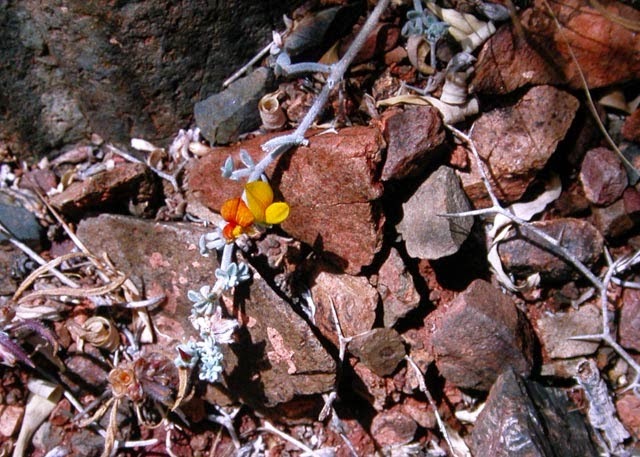 Lotus is a very important genus in the Canary Islands and contains several Canarian endemics including Lotus campyloclados that I have found on the edge of the Las Canadas caldera close to the base of Mount Teide. 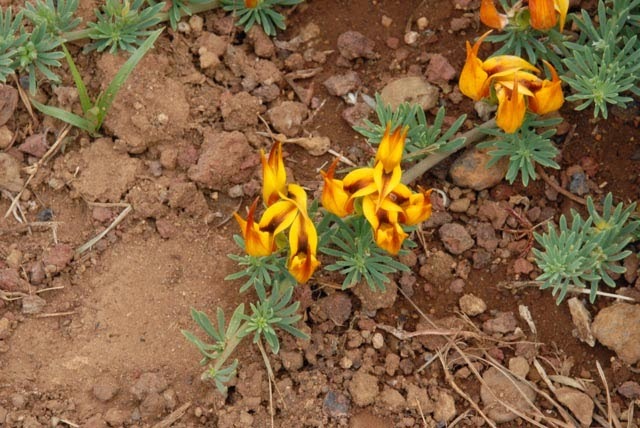 Visiting La Palma several years ago, I saw Lotus hillebrandii and two rather distinctive species Lotus glinoides with its mauve flowers, and Lotus lancerottensis on the eastern island of Fuertaventura. Fascinating to learn about and see these endemics. L. berthelotii is so striking! This was the first time we had coincided as most previous visits have been in December. We were completely bowled over by the beauty of this stunner! This was the first time we had coincided as most visits have been at the wrong time of year. We were completely bowled over by the beauty of this stunner. I actually found it again growing on a roadside verge in the centre of Puerto de la Cruz. 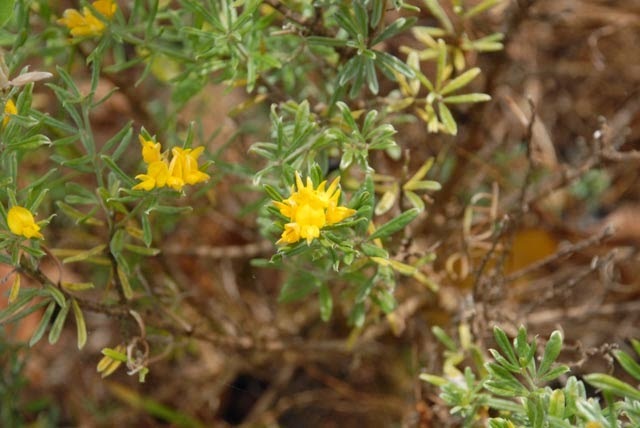 I am very keen on Lotus, and actually saw Lotus maculatus in a garden at La Laguna. 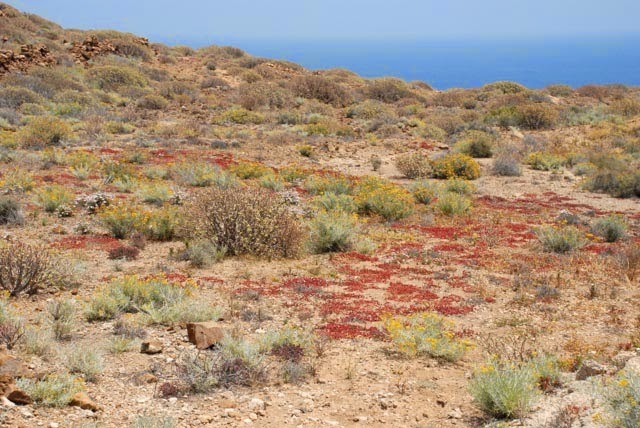 If you want to hear more about Canary Island plants from me, keep in touch.